• Great for hand-eye coordination! • Put simply, it is a yo-yo set free! back of your hand, shoulder, etc. 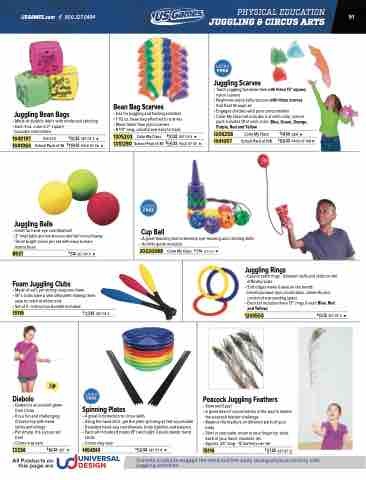 Colorful products engage the mind and the body during physical actiivty with juggling activities.